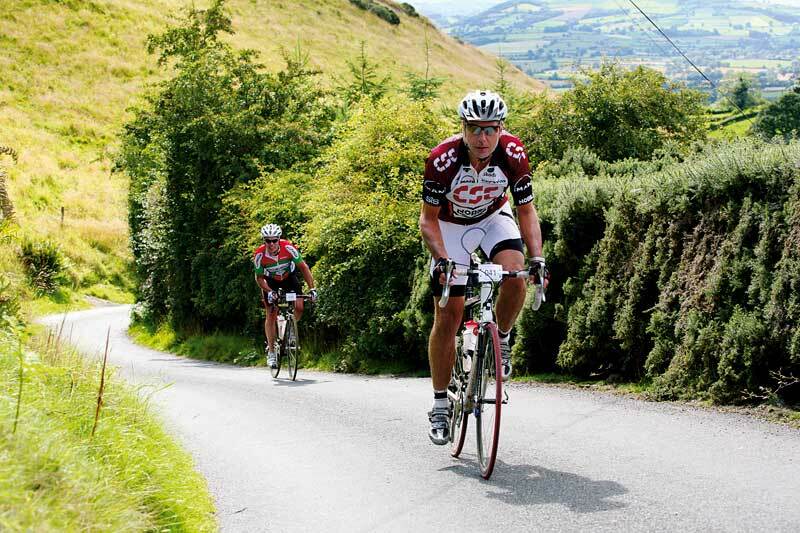 A challenging sportive set in border country between England and Wales. An area known as the Marches, taken from the Medieval title Lord of the Marches, offers a ‘secret county’ of traffic-free roads. 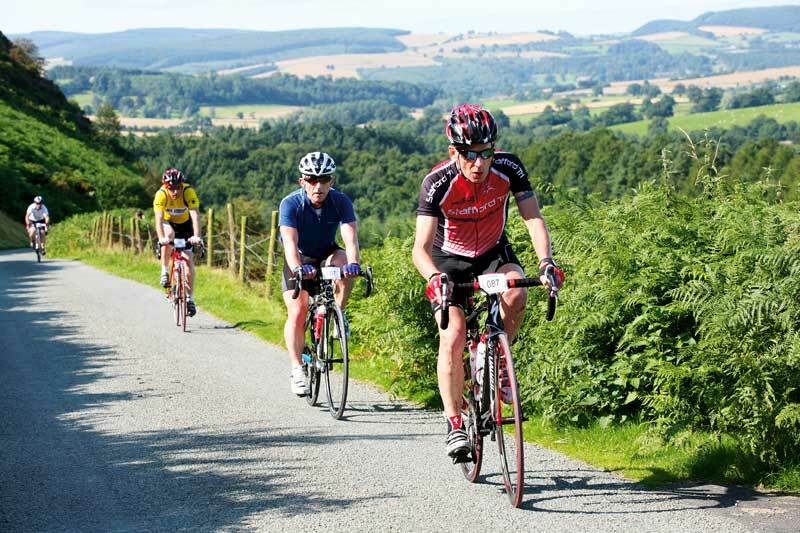 For event organisers Kilotogo, Shropshire is a haven for the cyclist, a county that makes the perfect venue for the third of their four sportives being covered by Cycling Weekly, the fourth being The Tour of the Peak on Saturday, October 24. Even though this is their first event in the area, a long history of riding and training here meant they were sure of the possibilities it offered. Bishop’s Castle with its modern sports centre is event HQ and the epicentre for accessing the area’s hills. 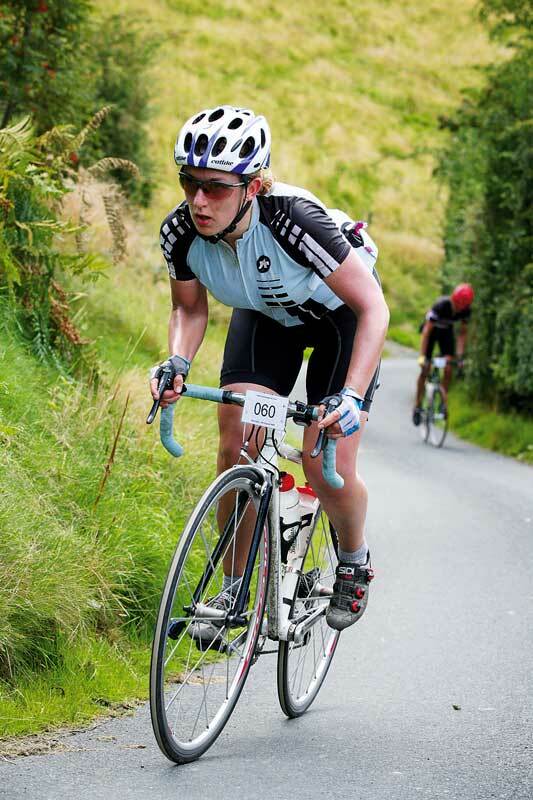 The number and severity of its gradients is the main feature of Kilotogo’s Wild Edric Sportive. As a consequence most people were in the granny ring within 200 metres of the start and that was just the High Street! As for the climb of Asterton bank, by this point it was reckoned that 80 per cent of the 150 riders took to walking. With at least four more 20 per cent climbs to follow and countless lesser ones, a lot of people found the route tougher than expected and everybody was unanimous in their opinion that this was the hardest sportive so far. This is, of course, a double-edged sword. One of the appeals of sportives in the first place was the fact they were within the capabilities of non-racing cyclists and you could set your own tempo, now it seems we have come full circle and people are being deterred because they’ve become too hard. ‘Traffic-free roads’ is a phrase used by many promoters of sportives, but in the case of Geoff Saxon’s description it was justified. Trouble was, this being Shropshire, no one told the wildlife. A family of pheasants, sheep, rabbits, several dogs, and a cat, all decided they would make up for that deficit and do their best to dump me on the floor, even a man with a ladder tried to get in on the act. Due to the heavy rain this part of the world has experienced recently, the added impediments of mud, rocks, gravel and forestry debris littered the lanes, accumulating at worst on tightening unsighted bends that had been preceded by frighteningly steep descents. All this meant one of the most interesting rides I’d had for a long while. When the lack of hazards permitted, this usually this coincided with the summit of some horrendously steep hill, and after my heart rate and vision allowed, the rewards for all this seemingly hazardous violation to health an safety were the views of Shropshire. ‘You can’t eat scenery’ as they say but if that was the case, you could dine out forever on a landscape such as this. Unfortunately in my case a little bit of indigestion worked its way in. A combination of the mistaken belief that I could ride anything on racing gears and as the French say ‘Jour Sans’ meant that the finishing line, hot shower and a cup of tea, in that order, couldn’t have come soon enough. Read the promotional leaflet carefully and definitely put this in the diary for next year.